Big Band Library: December 2015"Big Band News"
The family of the late photographer and jazz historian Duncan Schiedt (1921-2014) has donated a body of his work to the Smithsonian Institution’s National Museum of American history in Washington, DC. There are more than 12,000 images, both photos that Duncan took himself and others that he collected. I was privileged to oversee an exhibit of Duncan’s work at Chicago Public Library and host a talk which he gave in the Library’s auditorium. Besides his photos, Duncan authored several books, including Twelve Lives in Jazz (Parma, Italy: Delta Publishing, 1996) and Jazz in Black and White: The Photographs of Duncan Schiedt (Bloomington, IN: Indiana University Press, 2004). I am delighted that his interests and talents will be treasured always. 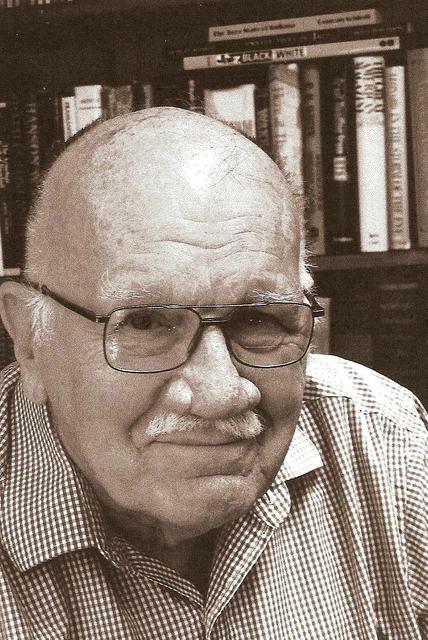 Murray Wald, 93, d.Dec 4, 2015. Saxophonist with Miller AAF '43-'45. nephew of bandleader / songwriter Isham Jones. Ernie Andrews, b.Dec 25, 1927. Vocalist with James '65-'67. 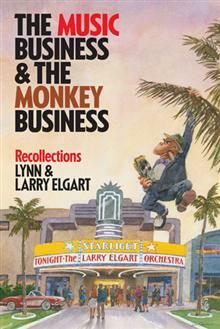 I especially enjoyed The Music Business & The Monkey Business: Recollections by Larry Elgart and his wife, Lynn, because it’s a lot of first-hand tales and insights and gossip about the music business, in which two brothers formed and ran an orchestra that found a sound all its own, first going under brother Les Elgart’s name, then as Les and Larry Elgart, and, later, as two separate groups. Larry Elgart (age 93 at this writing) is one of the very few legendary bandleaders still living – so unless Ray Anthony (also 93) or Elliott Lawrence (age 90) have an autobiography up their sleeves, this book presents what likely will be the last opportunity to get a famous bandleader’s own story in his own words. 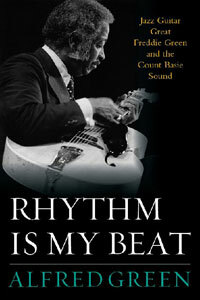 ​ Rhythm Is My Beat is the story of Freddie Green (1911-1987), the man whose acoustic rhythm guitar was a tremendous part of the pulse of the Count Basie Orchestra for 50 years, and is told by his son, Alfred (b.1938), a retired social worker and freelance photographer. Published in 2015 in Lanham, MD by Rowman and Littlefield, the book is title no.72 in the Institute of Jazz Studies’ “Studies in Jazz” series. It’s a fine overview of Freddie’s achievements, with 8 chapters about his life and career (based on talks he had with his son, research, interview comments by others, and a collection of memorabilia including photos, contracts, and music manuscripts stored in the closets of Freddie’s New York apartment), plus 14 appendices (several composed by Michael Pettersen, who in 2001 created the freddiegreen.org website) such as “Did Freddie Green Always Play the Guitar Part ‘As Written’, a list of his compositions, and a select discography. I’m sure that this book would interest any jazz or swing fan, especially for the Basie sound and Freddie Green’s huge contribution to it. While Ruffin concedes that the official US Army Air Forces explanation “is still probably as reasonable as any other,” he also acknowledges that there is no shortage of “alternative theories for Miller’s mysterious demise” and briefly discusses a number of them. 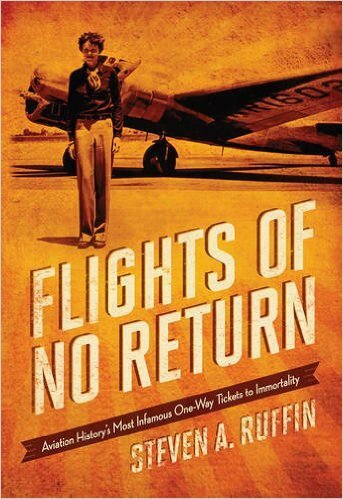 Whatever your beliefs about Miller’s disappearance, I would not spend the money on this book if you only want “The Bandleader’s Last Gig,” as Ruffin titled his chapter about Miller; instead, read it at your local library, alongside other, previous books such as Dale M. Titler’s Wings of Mystery: True Stories of Aviation History (New York: Dodd Mead & Co, 1981) that offer similar content and are just as good or better. 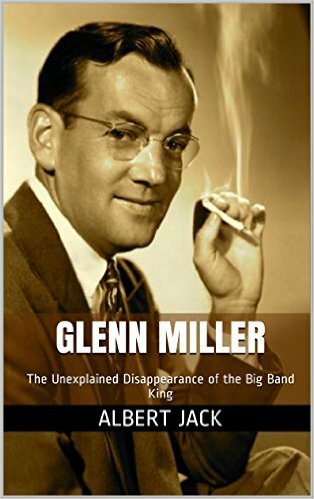 Lastly: the Glenn Miller: The Unexplained Disappearance of the Big Band King by Albert Jack was originally published in 2007 and this year became available in a Kindle e-book edition (shown as 1183KB, evidently equivalent to 14 pages) by Money for Old Rope Publishing in Cape Town, South Africa. But I haven’t read Mr. Jack's complete work, so I can’t offer additional details or an opinion. 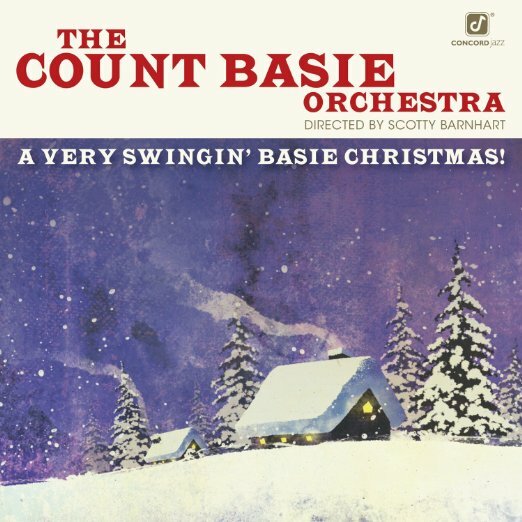 Just in time for the holidays comes “The Count Basie Orchestra Directed By Scott Barnhart: A Very Swingin’ Basie Christmas” (Concord Jazz CJA-38450-02), with 11 songs and instrumentals of jazzy joy. It’s claimed that this is the band’s first-ever Christmas album, but they seem to have forgotten “Tony Bennett: Featuring The Count Basie Band: A Swingin’ Christmas” (Columbia 32250 2) which came out in 2004. While I suppose he’s sincere and the orchestra certainly plays well, I can’t say that to my ears this particular CD really sounds like Basie. Even on my favorite tracks, It’s the Holiday Season with guest vocalist Johnny Mathis and Good “Swing” Wenceslas arranged by Sammy Nestico, it doesn’t quite make it for me. But this CD has been getting very good reviews elsewhere and that makes me happy. Disney Concert Hall, Los Angeles, CA; Dec 22-23, Toshi’s, Oakland, CA. Harry James Orchestra directed by Fred Radke. Dec 7, Pensacola, FL. Dec 20, Oak Glen Little Theatre, New Cumberland, WV. DID YOU SEE THAT . . .